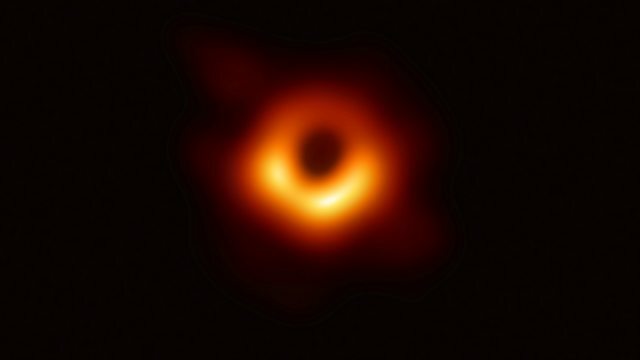 Astronomers have captured the first ever image of a colossal black hole, located in a distant galaxy 55 million light years from Earth. The picture shows a halo of dust and gas, which traces the outline of the black hole at the heart of the M87 galaxy. It measures 40 billion kilometres across - that's three million times the size of the Earth. Speaking to BBC Radio 5 Live, Katie Bouman said the moment she first saw the image was "pure amazement".